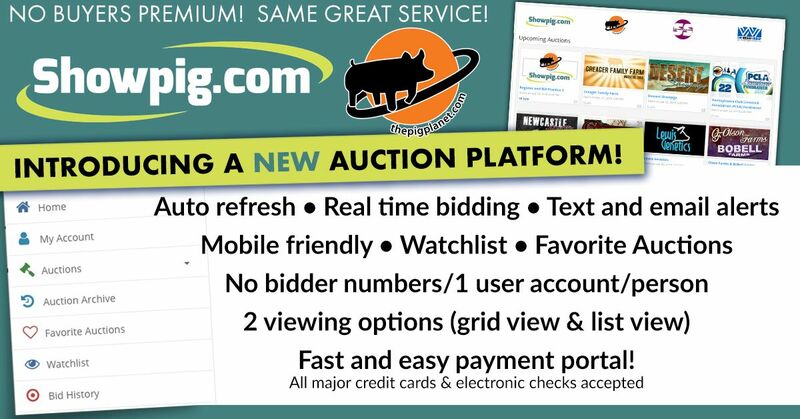 Showpig News - Showpig.com - Online Auctions, Industry Directory, Breeder/Seller Resources, and more! Trying to get that perfect picture for your next online sale? Take a look at some tips from professional photographer, Kaitlyn Hofschulte. Aside from being a pro photographer and graphic designer, Kaitlyn is also the one behind to camera at Hofschulte Genetics! There aren’t many hats in the swine industry that Ernie Barnes hasn’t donned at one time or another. 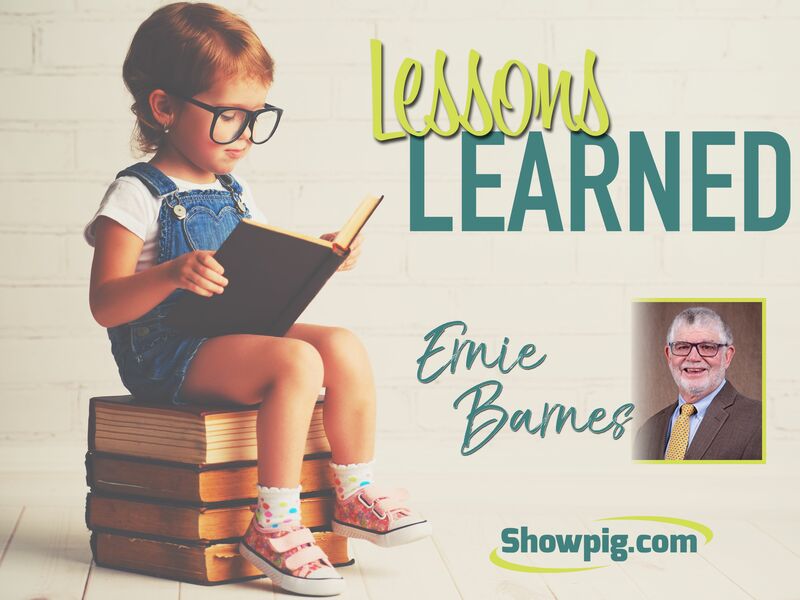 From his humble beginnings showing and judging swine as a 4-H’er in Mississippi, Barnes has served as a field representative for the American Yorkshire Club and the executive secretary of the American Landrace Association, before landing in the National Pork Producer’s Council. Throw in a stint as a swine pharmaceutical sales representative and a buyer for a packer, and it’s safe to say Barnes knows this great industry inside and out. 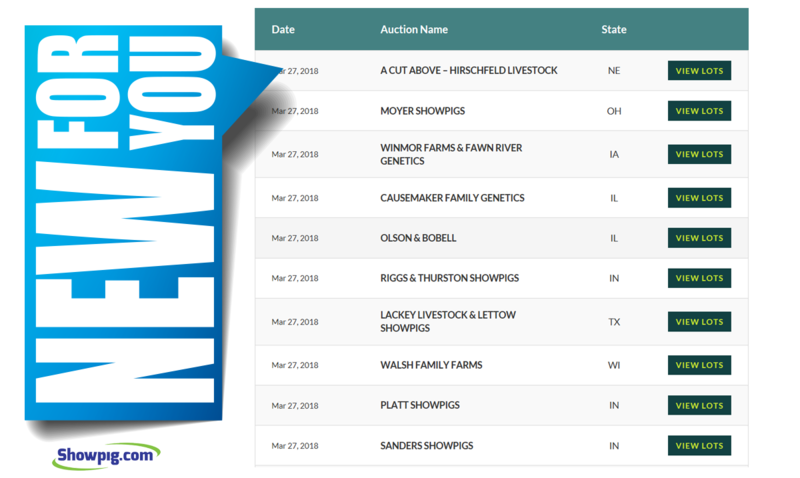 Showpig.com’s fresh look features a revamped auction calendar and archives. Both sections make it easy to find the sales you were looking for. The most current ongoing or upcoming auctions are featured at the top of our home page, just click on the logo of the sale you’d like to browse. We hope that our new website makes it even easier for you to #bidbuyshowwin. Don’t forget, there are advertising opportunities available on each of our new pages. 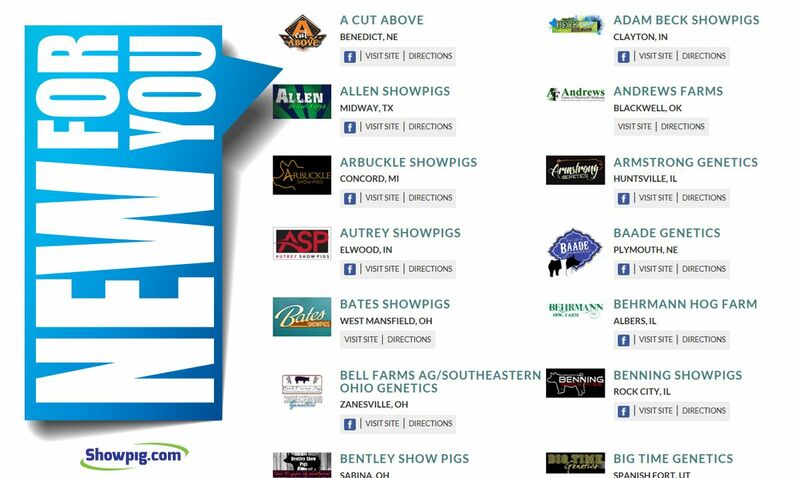 If you’re interested in advertising on our improved website, please contact our Showpig.com team. Are you looking for a breeder, boar stud or swine-related service near you? Visit Showpig.com’s updated breeder directory and service directory. Each of our new directories, can be filtered by name, breed, state or service. This makes it easier than ever to find the folks that you’d like to do business with. 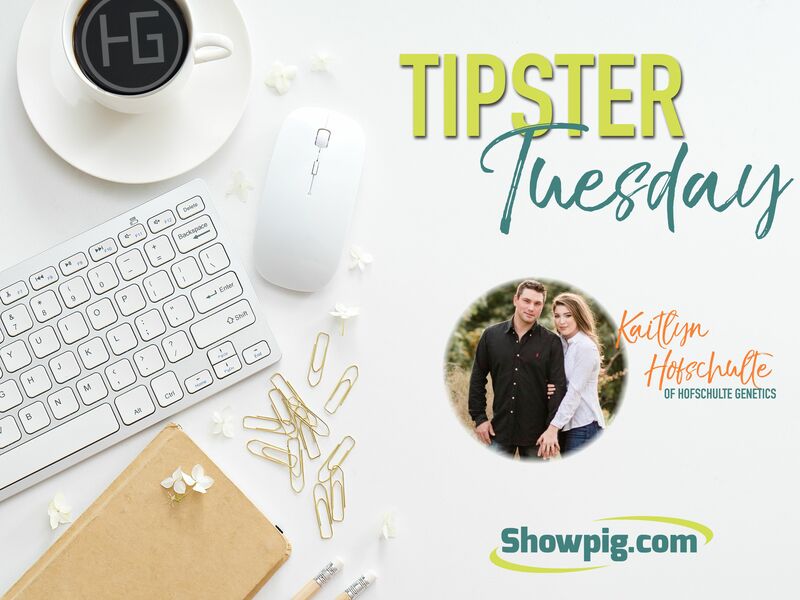 Whether you’re a buyer or a seller, new to the showpig world or an industry expert, this blog will have something to interest you. 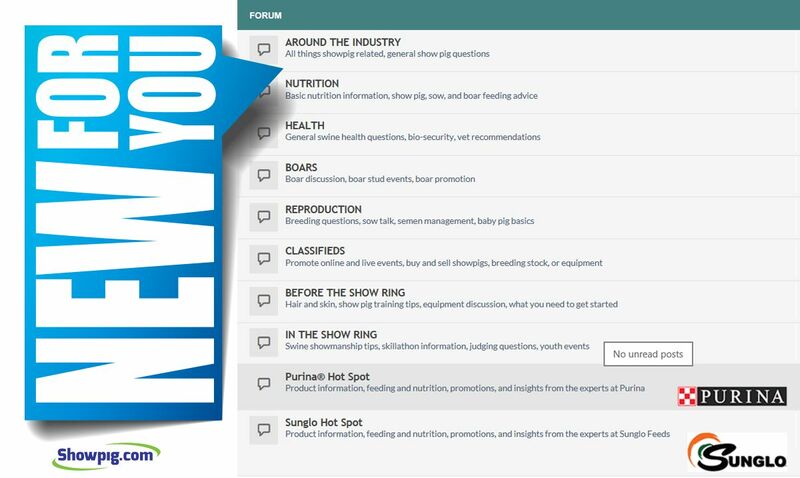 From breeder profiles, industry news, tips and tricks and show and sale updates, the Showpig.com team covers a large variety of topics. With our website update came a new way to navigate our blog content. Instead of searching posts by dates, you can simply click on the category of posts that interests you the most. Try Out Our New Auction Platform Today! 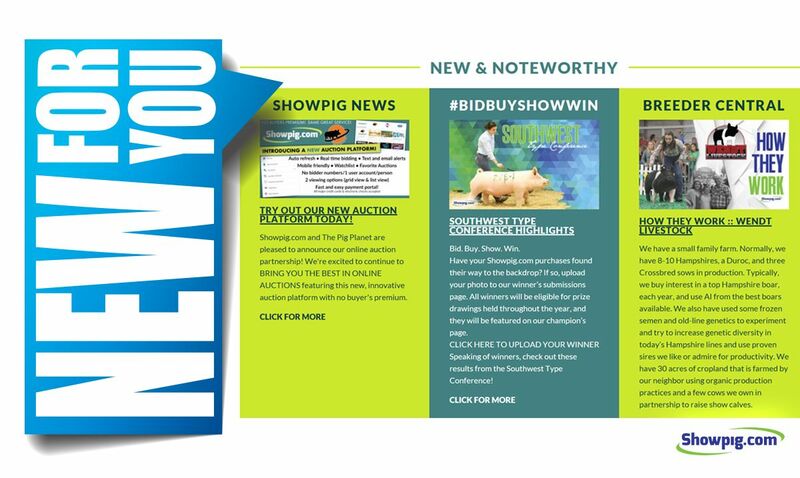 Showpig.com and The Pig Planet are pleased to announce our online auction partnership! We're excited to continue to BRING YOU THE BEST IN ONLINE AUCTIONS featuring this new, innovative auction platform with no buyer's premium. The Arizona National Livestock Show has been one of the largest livestock shows in the Southwest and a Phoenix tradition since 1948. 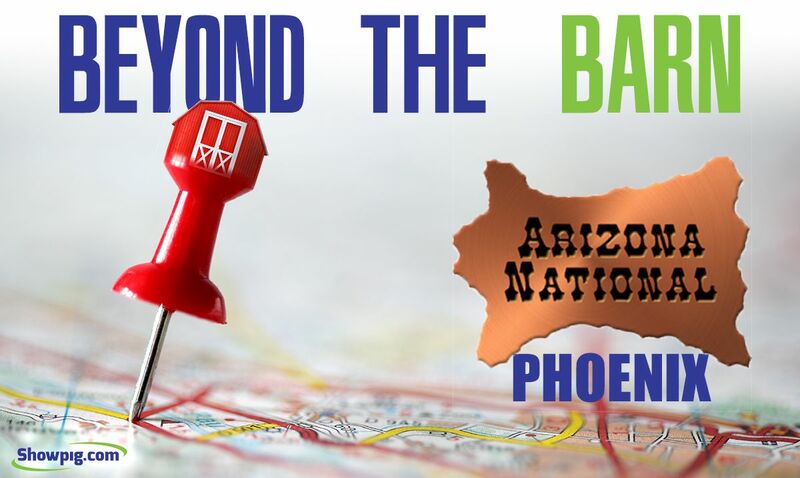 This year, exhibitors from 27 different states are making their way to Arizona during their holiday between Christmas and the New Year. With more than 1,500 head of elite livestock expected in the vacation-like, sunny Southwest, it should be an event to be remembered. If you’re heading to the Arizona National, the Showpig.com team put together a few suggestions of places to stop. 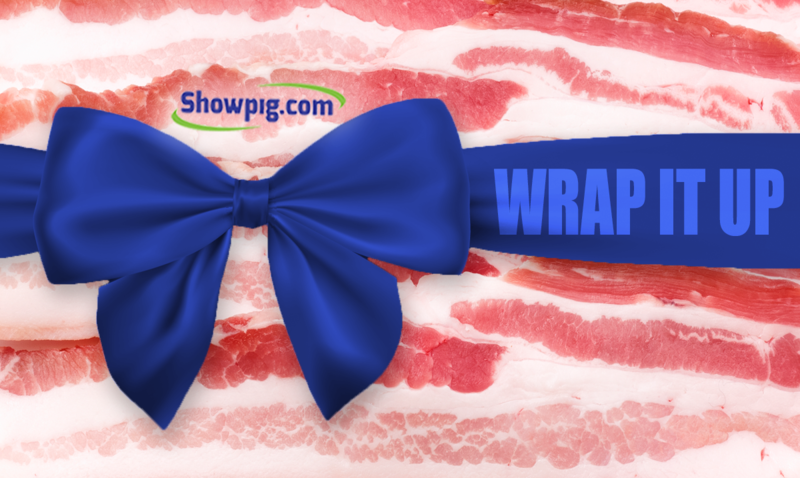 The week before Christmas, most of us are about wrapped out, but the Showpig.com team found a type of wrapping that will bring more joy to your holidays. (It may also help you bring a covered dish to one of your many merry festivities.) That’s right, we’re wrapping it in bacon! 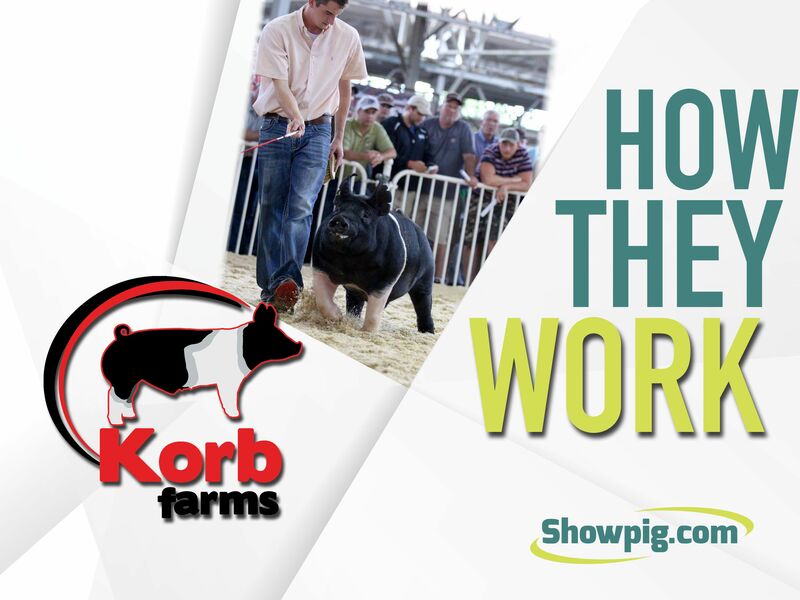 Are you struggling with what to get the showpig enthusiasts in your family? Have you already exhausted their wish list at Sullivan’s, Weaver’s and your local Western wear store? If so, head online for some unique, handmade items they’re sure to love. 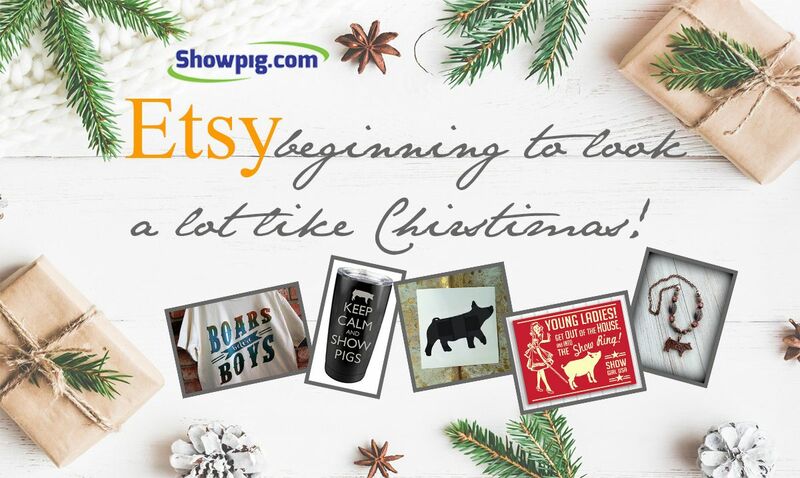 This week, the Showpig.com team scoured the world wide web to find the best showpig finds on Etsy. Showpig enthusiasts are currently descending on Duncan, Oklahoma. For one week, Duncan transforms into the showpig prospect Mecca of the Southwest. 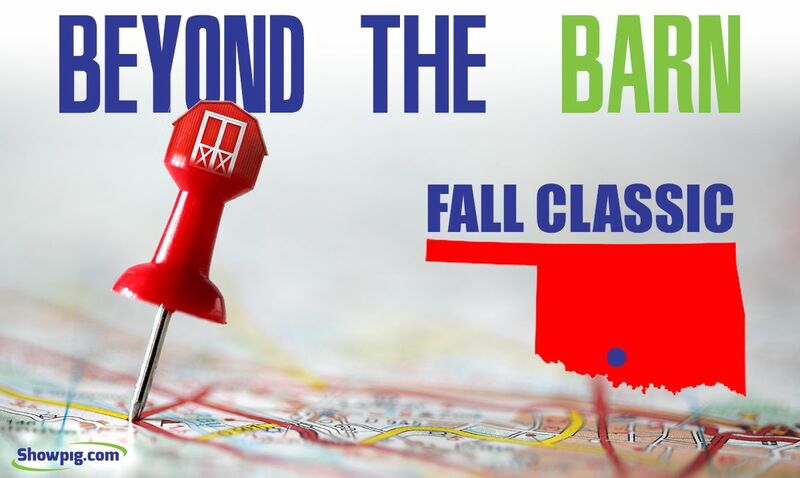 Between the sifts, the sales and the deals to be made in the parking lot, you will find lots to do at the Stephens County Fairgrounds. Then, add the excitement of breeding stock shows sponsored by the National Swine Registry, Certified Pedigreed Swine and American Berkshire Association you might never want to leave. But, if you’re looking for venues beyond the barn, Showpig.com’s team has you covered. 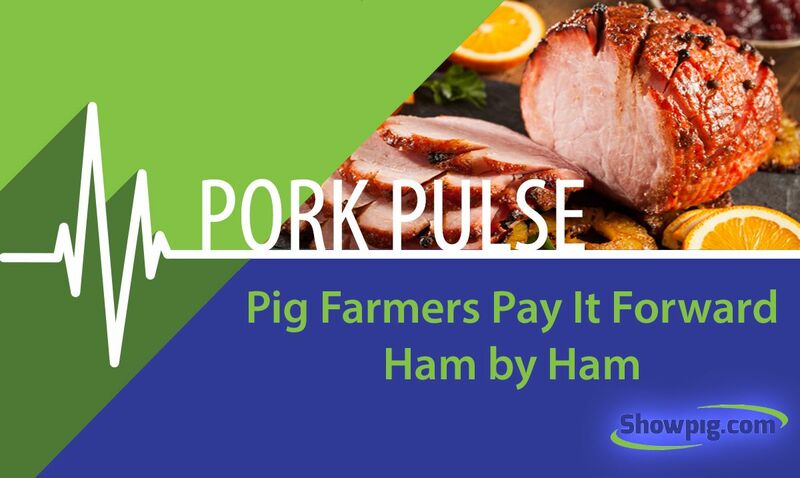 The National Pork Board, the Iowa Pork Producers Association, Smithfield Foods, Inc. and PrairieFresh® Premium Pork joined forces to support the second annual #HamsAcrossAmerica campaign in Central Iowa. The organizations hosted a kickoff event, on Giving Tuesday, to serve clients of the Central Iowa Shelter and Services and provided a nearly 70,000-pound pork donation to the Food Bank of Iowa, courtesy of Smithfield Foods, Seaboard Foods, Triumph Foods and U.S. pig farmers. November kicks off a whole month of giving thanks. You’ve likely seen the 30 days of thanks posts already showing up on your newsfeed. 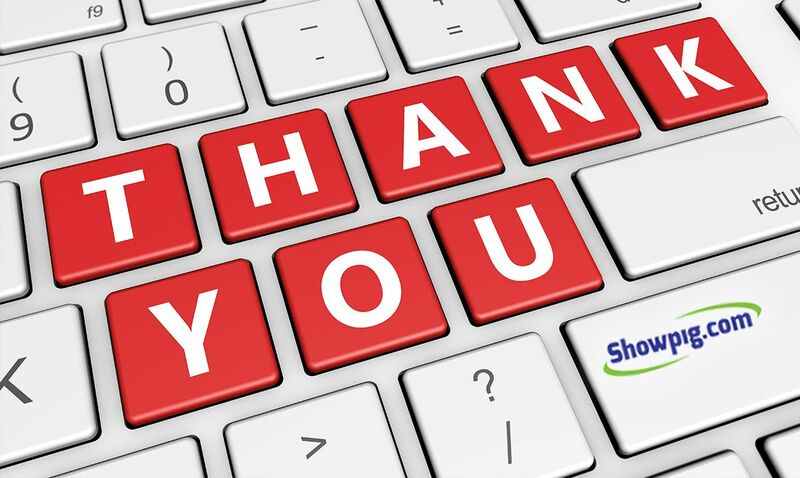 Showpig.com believes in the power of gratitude. We think it’s so important that we even dedicated a whole post to the art of writing thank yous. So, it’s only appropriate for the Showpig.com crew to show some gratitude. Pull up a chair, sit down and pass the gratitude, as we share 10 things we’re thankful for. 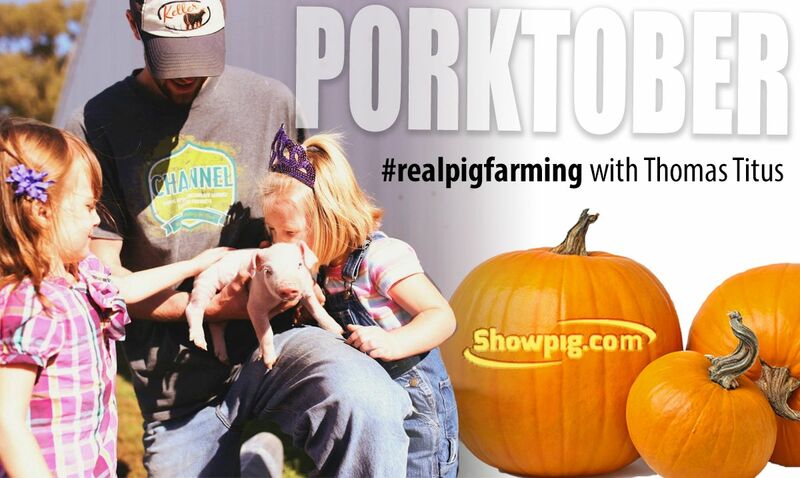 To celebrate National Pork Month, fondly known as PORKtober, the Showpig.com team is catching up with some “agvocates” to learn how we can all better represent the swine industry. This week we have tips from Thomas Titus of Elkhart, Illinois. Thomas operates Tri Pork Inc as well as a purebred showpig operation, RBC Chesters. He is former Face of Farming and Ranching for the U.S. Farmers and Ranchers Alliance as well as a #realpigfarming advocate for the National Pork Board giving tips on how to best build impactful consumer relationships.